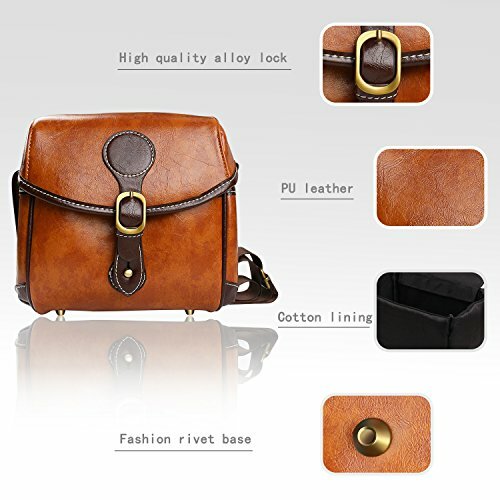 Premium Quality: Made from PU leather, feels very soft, which features special scratches. High quality alloy lock is more durable. The clasps that connect the strap to the bag are sturdy. 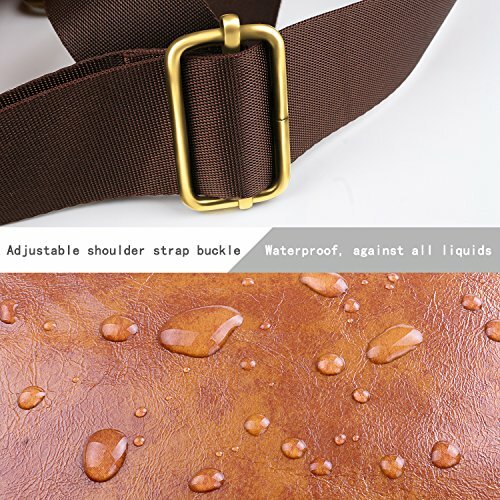 The bottom rivets makes the shoulder strap more durable and fashionable. Buckle and tuck lock closure, easy to open and sturdy. Standard six lines process, symmetrical and even stitch, makes the camera case more solid and durable. 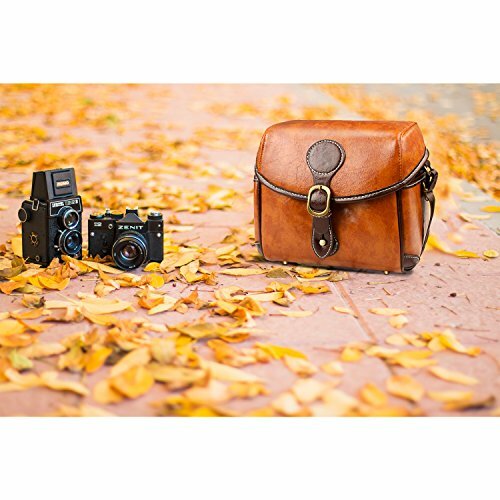 Buy Topixdeals Vintage Camera Bag, DSLR Shoulder Camera Bag with Removable Inserts, Waterproof Shockproof Camera Case for Canon, Nikon, Sony, Pentax, Olympus, Panasonic, Samsung (Brown) at Discounted Prices ✓ FREE DELIVERY possible on eligible purchases. 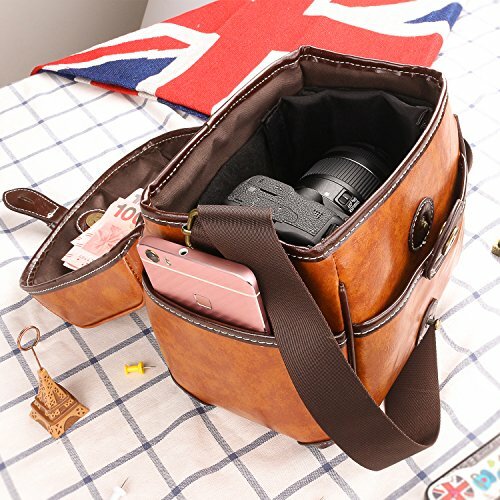 Multiple Pockets: With one main compartment pocket, it has enough room to hold an DSLR camera, there's open pocket either side of the DSLR camera bags, which can hold spare batteries, chargers, cables, lens cap and other essential items. One inner zippered pocket for your money, memory chips and other important things to keep track off when on a shot. Protect Your Camera Well: Adjustable inner divider to hold camera more sturdy and keep Lens apart. 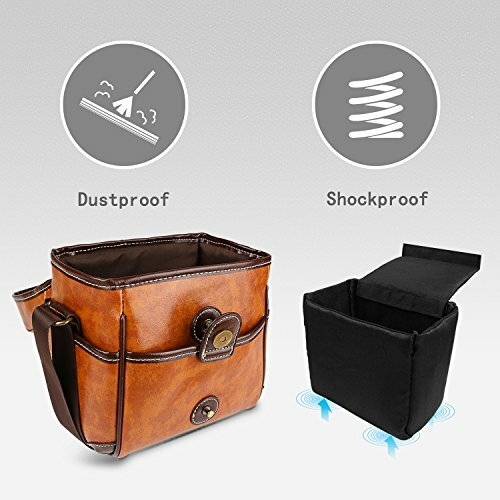 interior flap and cotton lining in the bag insert for absorbing shock and vibration to protect your camera against damages, dust and scratches, taking out the padded, you can use it as a messenger bag. 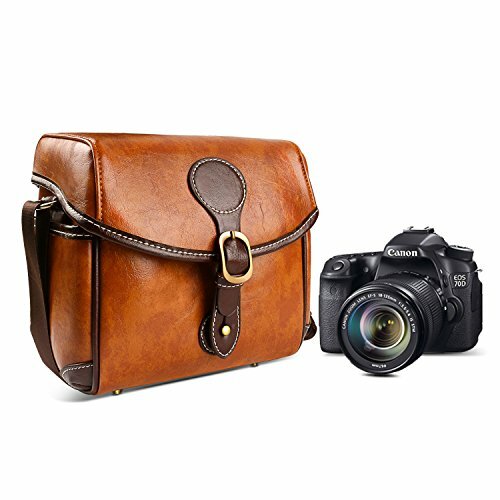 Vintage Style Design: With brown vintage and fashion design, it will be a perfect gift for traveling photographer, shoot lover. and it is a great choose as a gift on birthday, anniversary, Valentine day, Fathers' day, Mothers' day, Thanksgiving day, Christmas, new year. Wide Application: 8.2" Length x 5.5" Wide x 7.8 " Height and will fit most the D/SLR digital camera, Sony/Canon/Nikon/Pentax, etc. 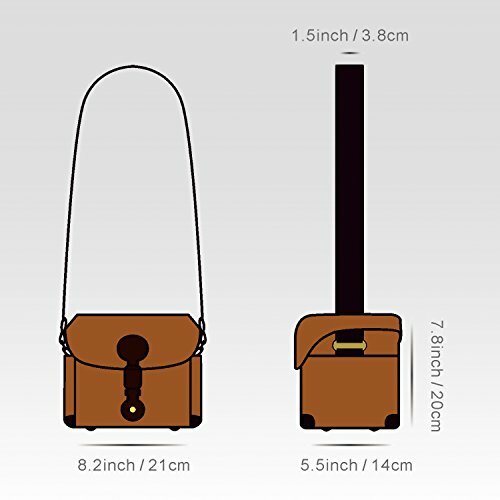 Our Topixdeals Waterproof Camera Bag has 1 years unlimited warranty service, if you have any question or problem, please feel free to contact us directly, we are more than happy to assist with.